Almost three weeks ago I stopped procrastinating and started the process of applying for the military service records of Horace and Albert, my cousins killed in WWII. I’ve written about them on a few occasions, when I’ve new information about them, or most recently, on the anniversaries of their deaths. Each application costs 30 pounds sterling, and I had to order bank drafts in sterling from my bank. That itself was an ongoing experience, taking more than a week for the bank to work out some kind of internal glitch that prevented the cheques from being validated. However the problem turned into a blessing when the bank refunded their fees because of the inconvenience. I posted the forms and cheques, and this morning I received emails to confirm the applications had been received by the appropriate people and they were being processed. Sadly a lot of information won’t be accessible to me, because I’m not the next of kin, and I don’t have the approval of the next of kin. I don’t know who the legal “next of kin” would be. As far as I’m aware, neither of the two married or had children, so the role of “next of kin” would probably have gone through one of their surviving siblings then from generation to generation over the years since the war. Both time and distance makes identification of that person impossible. I can only hope that the information I DO get will be worth the wait and the expense. I’d like to be able to write some kind of “detailed” tribute of the two brothers in time for next year’s 75th anniversary of their deaths. A year or two ago I applied for the Australian service records of Gloria’s dad who served in the RAAF in Borneo towards the end of WWII. That was much easier. Even though I wasn’t a blood relation, I was able to submit the request myself. I was able to pay by credit card on line – no need for difficult bank transactions, or to mail a physical application form. It took a few months to come through, but Gloria received a sizable collection of documents, all copied in a way to resemble the originals. I later found that my application also released the file to be accessible on line through the National Archives website. Australian military records are far easier to access than the British equivalent. I’ve copied several WWI records from the National Archives site for people of interest. We tried to get the same kind of information related to Gloria’s grandfather who served in the British Army during WWI (Royal West Kent) but apparently a large percentage of British WWI records were destroyed during the blitz. His records seem to have been among those lost. Depending on the quality of the records I get of Horace and Albert’s service, I’ll consider getting records for my own Grandfather who was a Sergeant in the Royal artillery, stationed at various places on the south coast of England during WWII. 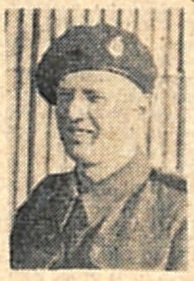 Thanks to Ian Murray and his website (http://www.operation-ladbroke.com/) I have more information about my cousin Horace and his fate during the glider operation that led the invasion of Sicily during WWII. Ian has posted an article that identifies which Glider Horace flew in, and even provides a few details of his last moments. Reading Ian’s article gave me a goose-bump moment equalled only by the time I finally found Horace and Albert after a year of searching for the “Maurice” and “Alfred” my dad had spoken of. Horace was a passenger in Glider 70, one of the American WACOs brought in to supplement the larger British Horsa that couldn’t be supplied in large enough numbers. The glider was towed from the El Djem airfield in Tunisia, destined for Sicily as part of Operation Ladbroke. 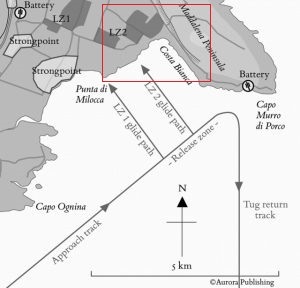 On approaching the destination, landing zone 2, (LZ2), trying to avoid enemy flak, the tow-plane turned away from the designated release zone and the glider was set loose too far from land and came down a few miles off shore. 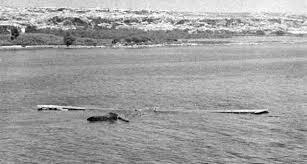 Even though the glider floated, after exiting, some of the men couldn’t regain contact with it due to rough waters. Horace was one of those and he was heard calling for help before finally falling silent. I suspect that Horace would not have been a strong swimmer. The only swimming pool in his local area would have been the same one I visited as a child 20 or so years later. Visits to the pool were rare and no one in my immediate family became proficient swimmers and I Imagine that in those earlier decades, Horace would have had fewer opportunities for learning to swim than I had. In all one of Glider 70’s pilots and five others lost their lives, along with more than 250 from other gliders who also drowned. My research related to two cousins killed during WWII slowed down for a week or two. I ordered some books related to the campaigns in which their regiments were fighting leading up to their deaths, but haven’t had the chance to read them yet. However those books can only give a general background of what was going on where they were serving. With Horace details are a little easier to find. He served with 181 Airlanding Field Ambulance and I’ve found several sources of information about them and the tragic events that led to his death on the first day of the attempted invasion of Sicily. Albert’s story hasn’t been so easy to follow up. He served with 140 Field Regiment of the Royal Artillery in North Africa, where he died of wounds received just prior to the surrender of the Axis powers in May 1943. Details of that particular regiment seem scarce. For Albert it was so near and yet so far. I now need to take a closer look at the diary to get an idea of where Albert was serving leading up to his death. Maybe the next step in my research will be to obtain the personal military records for both Albert and Horace. 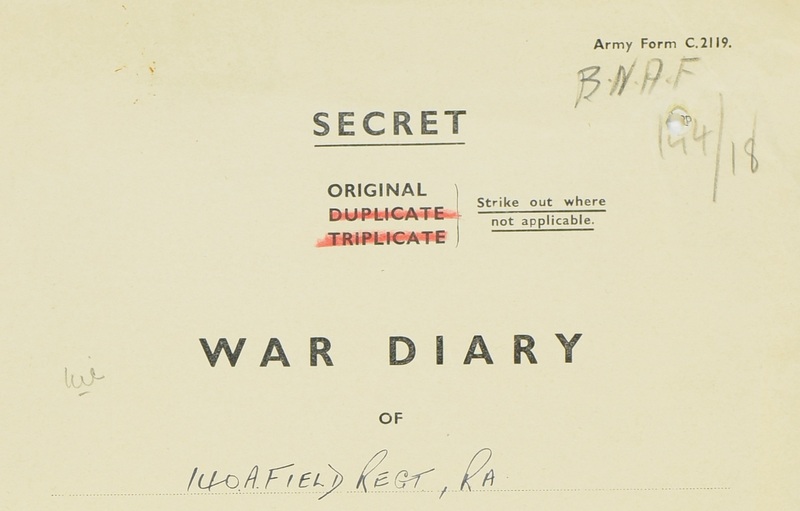 Unfortunately that won’t be as easy as getting the war diary. It is also not cheap. As recent posts indicate, I’ve been spending time researching my dad’s cousins who were killed in WWII. It’s a fascinating exercise and it surprises me how many small details I’ve found from unexpected sources. 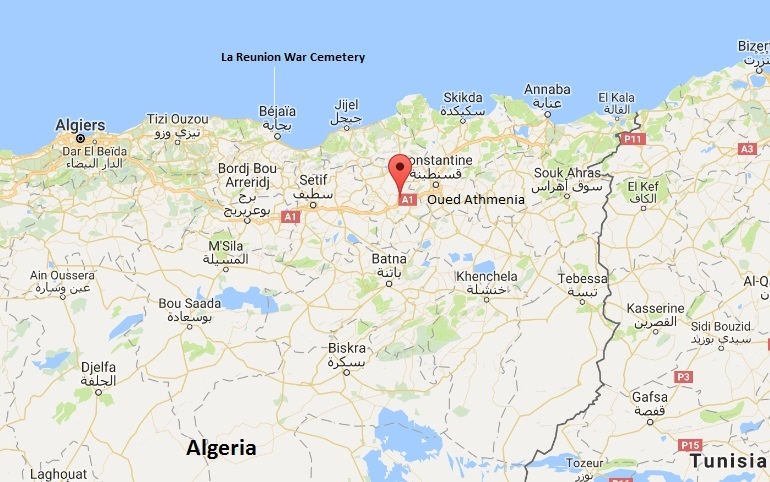 Yesterday I found a reference to where Albert died (Oued Athmenia in Algeria), and that he’d originally been buried in that town before a year later being re-interred in the La Reunion War Cemetery in Bejaia. Previously I’d only known he’d died in North Africa and was buried in La Reunion. Then this morning I was looking at a photo of the cemetery and realised his headstone was visible. Not close enough to read, but close enough to identify by comparing with a plan I’d found of the cemetery. I’ve marked the position of Albert’s grave with a small red mark in the top right corner of the headstone: third row back, third grave from the left. 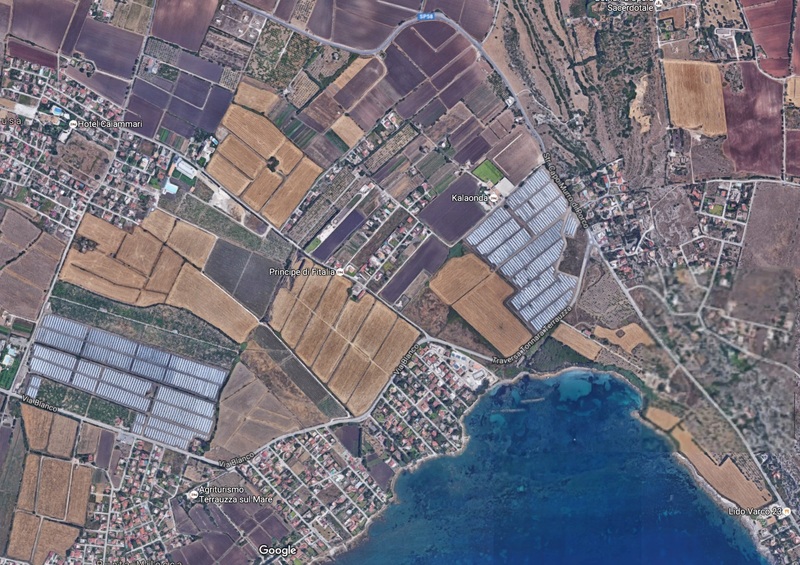 Here are the locations of Oued Athmenia (red indicator) and La Reunion War Cemetery. Around a year ago I was told about two of my dad’s cousins who were killed in the Second World War. I tried to find out more about them but after taking a few investigative wrong turns I hit a dead end. 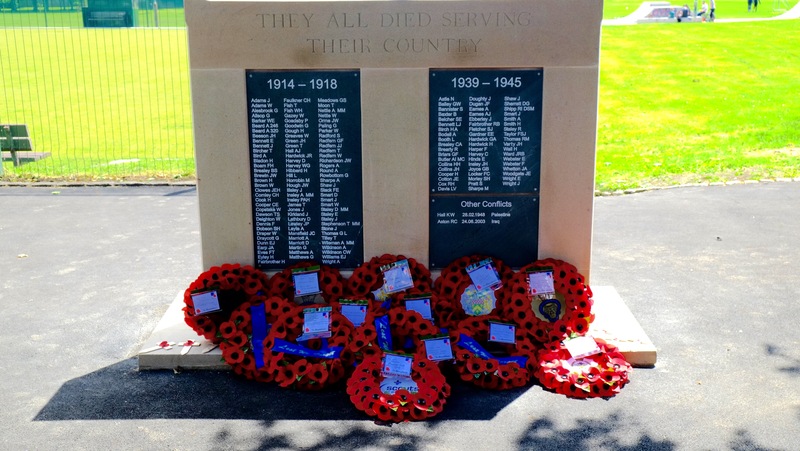 I came across an article about a new war memorial being unveiled in the cousins’ home town; a memorial that OUGHT to include their names on its roll of honour. With the help of the local branch of the Royal British Legion, I was able to get a copy of the listed names and finally got the breakthrough I’d been looking for. My RBL contact was also able to provide a few details of their service and where and when they died. Albert, the younger of the two had been a gunner in the 140th Field Regiment Royal Artillery and was killed in North Africa on 11th May 1943 only two days before the enemy Axis forces surrendered in Africa. Horace, the older brother was a private in the Royal Army Medical Corps, part of the 181 Airlanding Field Ambulance, and was killed a few weeks later at the very beginning of the invasion of Sicily on 9th July 1943. The family story had been that his death was due to an American pilot releasing him too soon, causing him to land in the sea instead of on land. The meaning of that cryptic anecdote became clear when I looked for details of what British forces had been doing in Sicily at the time of Horace’s death. Records in an official RAMC diary state: “All our gliders are away” and “Apparently the tug pilot was upset by the small amount of flak, took then off their course and cast them off into the sea”. I found more details in The Second World War: a military history by Gordon Corrigan [p399-400]. The airborne phase of the operation was a disaster. The air-landing brigade of 1,200 men were to be delivered in 144 gliders, a mix of American Wacos, which could take fourteen men and their equipment, and British Horsas, which could carry thirty. The towing aircraft were 109 USAAF C-47b Dakotas and thirty-five Albermarles of the RAF. The RAF pilots of the towing aircraft all had considerable experience of training with gliders, and the British Glider Pilot Regiment crews (two to a glider) had practiced the operation over and over again in the UK. Unfortunately for their passengers, many of the Waco pilots had not completed their training while the C-47 pilots had little or no experience of glider operations and some had done little night flying. During the night the weather worsened and the wind got up to 40mph. The defenders were fully alert and as the airborne armada approached, their anti-aircraft guns opened up. A military glider has the aerodynamic properties of a brick: once it is released from its towing aircraft, the only way is down, although turns to right and left and even complete circles, are perfectly possible. What is critical is that the towing pilot releases his glider at the correct distance from the target, and this depends on the height at which the release takes place. Also critical is the ability of the gliders to ‘stream’, that is to arrive at the landing ground from the same direction, which is achieved by the towing aircraft flying in formation to the release point. It was not easy to tow a fully laden glider at night while being shot at and to many of the inexperienced USAAF pilots it was just too much. Sixty-nine gliders were released too soon and crashed into the sea; fifty-six were released in the wrong place and did make landfall, but scattered all along the coast. Only twelve, all towed by RAF pilots, landed where they should have done. The 181st losses during Operation Ladbroke were one officer and sixteen men who were all drowned. Horace was clearly one of those casualties. He was initially posted as missing, but later his death was acknowledged, although it seems his body was never recovered. 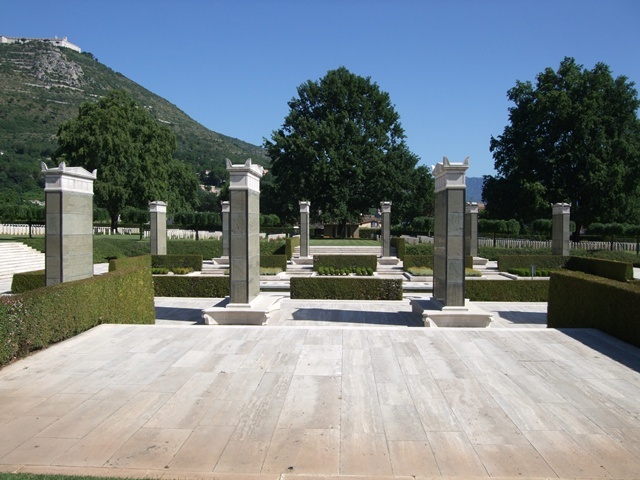 His name is listed on the Cassino Memorial, part of the Cassino War Cemetery in Italy, one of over 4,000 Commonwealth servicemen who took part in the Italian campaign whose graves are not known and have their names recorded on the memorial’s panels. Apart from the date of his death and the name of his regiment, I’ve yet to find out anything else. Details of his regiment’s actions haven’t been as easy to find. I have however just tracked down his burial site. His grave is in the La Reunion war cemetery in Algeria. About a year ago I had the opportunity to ask my parents some questions about our family history. Within that conversation my dad told me about two of his cousins; brothers, older than he was, who lost their lives during the Second World War. They had apparently been named after my grandfather, their dad’s brother; one was named Alfred and the other Maurice. They’d been killed a week apart and the shock of losing her two boys had given their mum a nervous breakdown from which she never recovered. The only thing my dad remembered about their deaths was a cryptic story of one of them being killed when an American pilot released him too soon and he ended up in the sea instead of on land. From that last piece of information I could only assume he’d either been a paratrooper, or a passenger in a glider. As soon as I was able I started to look for more information about Alfred and Maurice. I tried genealogy websites with links to military records and seemed to hit the bullseye almost immediately. I found two men with the right names who had been killed in 1941 within a week of each other; but my excitement was undermined when I finally noticed that although the Alfred I’d found had been born in the right English Midlands town, Maurice had been born in London, so he couldn’t be the right one. Further attempts continued to be fruitless. Then only men I could find were the two I mentioned above, one of whom I’d had to discount. 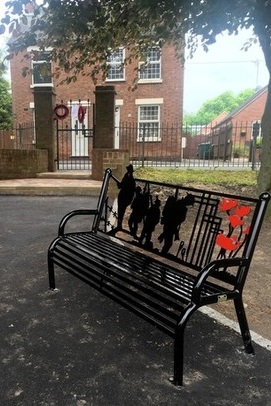 About a week ago I came across a story of a new war memorial being unveiled in the English town where I’d spent my childhood, the town where my family had lived for generations, including those elusive cousins. There were photographs of the memorial and I knew their names ought to be on there, but unfortunately none were clear enough to read. But at least I had something to work with (possibly). I was able to contact the local branch of the Royal British Legion to ask if they could point me in the direction of someone who could give me details of the names on the monument. I received a very prompt reply with more help than I could have hoped for. I was sent copies of photos of the monument, clearly displaying all of the names, and also a copy of the official programme for the unveiling ceremony that also had a list of names. The photos and the programme showed there were two men with the right surname, and one of them had the initial “A”. Unfortunately the other had the initial “H” and not the hoped for “M”. What was wrong? Why again weren’t things fitting together? The first step was to find out whether those men had been brothers. My helpful contact at the Royal British Legion confirmed they had been, but they had died about two months apart instead of the week as recalled by my dad. Also their names were different. The men on the monument were Albert and Horace, not fitting with my dad’s memory of cousins named after my grandfather, Alfred Maurice – but not different enough to undermine everything. 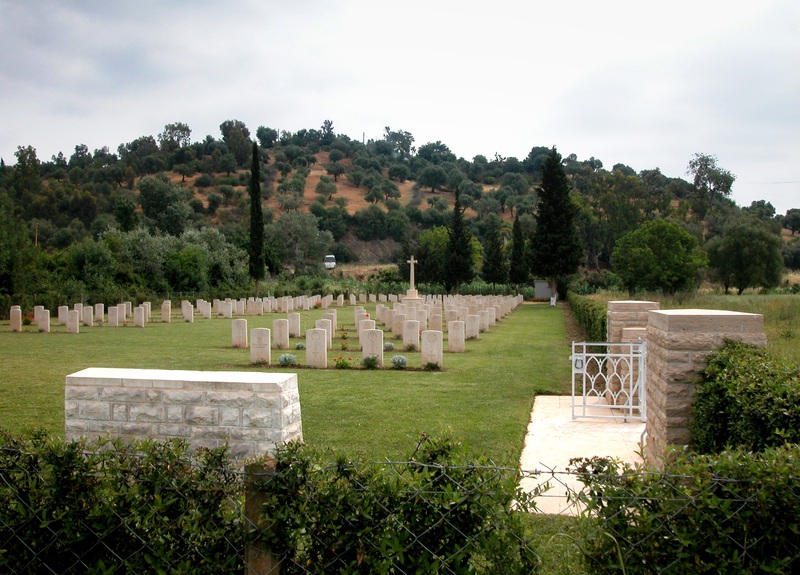 I was given a little more information about the timing of their deaths; Albert, a gunner with the Royal Artillery had died in North Africa in May 1943, while the slightly older Horace a private with the Royal Army Military Corp had died in Sicily on the 9th July 1943. Reading that not only gave me goose bumps – but also the confirmation I’d needed. The two men WERE the cousins my dad had told me about, despite some of the remembered details being wrong. 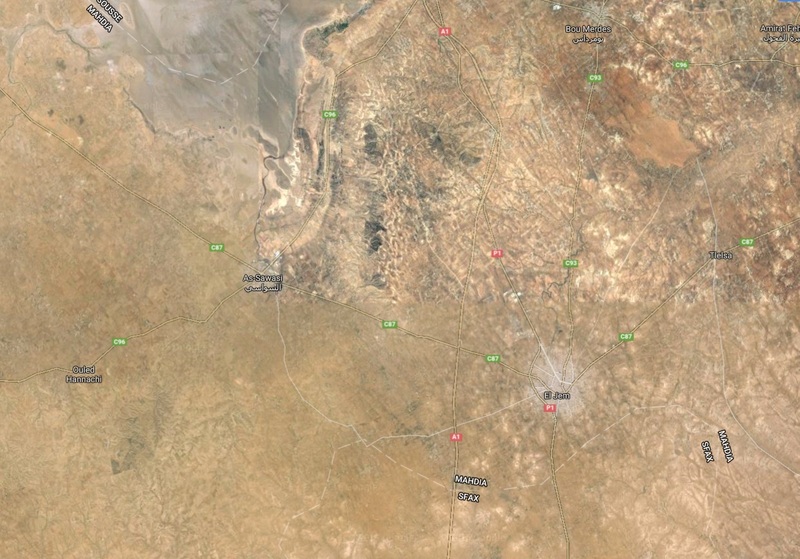 The next step is to see what more can be found out about them and the events that led to their deaths.